I'll be talking more about the bottom 3 on Friday. 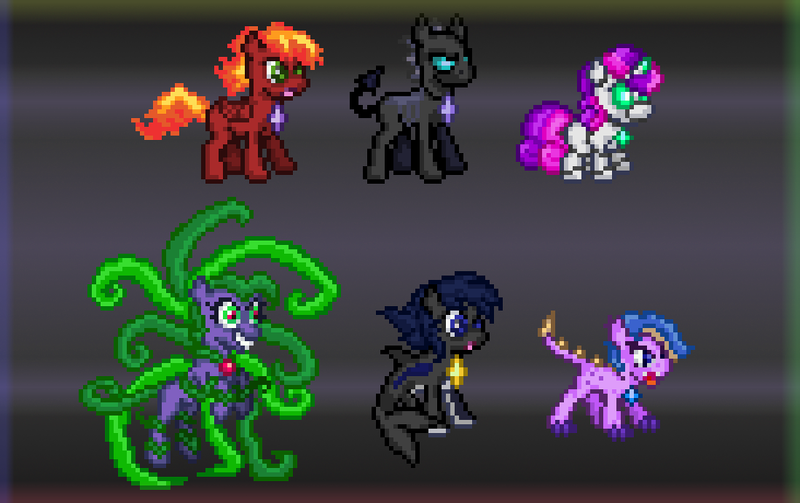 Pony designs galore! Also, crunch-time and tons of coding! The first BGP demo is on its way and has me feelin' hyped! My goal is to get this in people's hands fast and I'm sticking to that. I've never worked on a project this exciting before. This week was full of behind-the-scenes progress and spritework inching toward that first public build. Look below for this week's accomplishments and discoveries! I spent a lot of time deciding on poses and sizes for these. Having this deadline to rush to is pushing me along nicely. After the BYOC the game will be a month away from an online pre-alpha release. It'll be nice to take a day off to work on and complete something small and different. Looking forward to the game jam. My school's programming club is teaming up with the school's gamedevs to host a 12 Hour Game Jam. We haven't hammered out the details aside from when it'll be (April 25th) and how much it'll cost (school will handle it). The only requirement project-wise so far is use of the Kenny Asset Pack. I'm just dying to experiment with a tower defense game idea so it'll be a fun day. It's already looking popular in the gaming major and may bring in new people to the PCT GameDevs club. I applied for the ESA Scholarship again with hopes of helping my parents out with this tuition madness somehow. It's a scholarship for women and minority students in majors relating to the gaming industry (exactly me) so I'm hoping to get it this time. I applied last year but nothing came of it so I'm hoping my new experience and essay bring me more attention. As for the BYOC, we settled on 1st prize being an OUYA and extra controller, 2nd prize being an 8GB Kindle Fire, 3rd prize being 4 $20 Amazon Gift Cards, and the runner up gets 4 $10 Amazon Gift Cards. All GameDev related prizes from the limited amount of things we can afford on a prize budget. 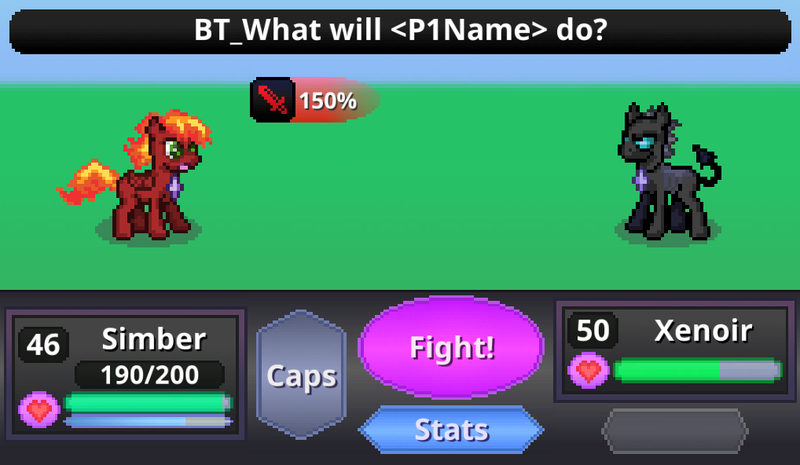 I'm aiming for any of the top 3 prizes so Battle Gem Ponies needs to be functional and polished in less than 3 weeks. In terms of working on something I can actually complete, I did a small bit of scrapping on my animation plans by limiting them to attack, energy attack, hurt, KO, and idle. I figured out a trick in Unity that let's me organize the hundreds of animations I'll have. In order to keep things neat I had to write down exactly what animations every single pony will have. Unique intro animations were scrapped in favor of reusing the energy attack animations. I was looking at Pokemon stadium and noticed how they probably saved lots of time and money by doing it that way. That saves me the trouble of drawing hundreds of sprites, making the game more feasible, which is good since I'm still a beginner. I think these numbers look pretty good. At my current standing, I'm about halfway there on the Macbook I'm saving up for. I should have just enough before release to get one in time to make an iOS port for release. Worst case, it'll come out January/February on iOS instead. 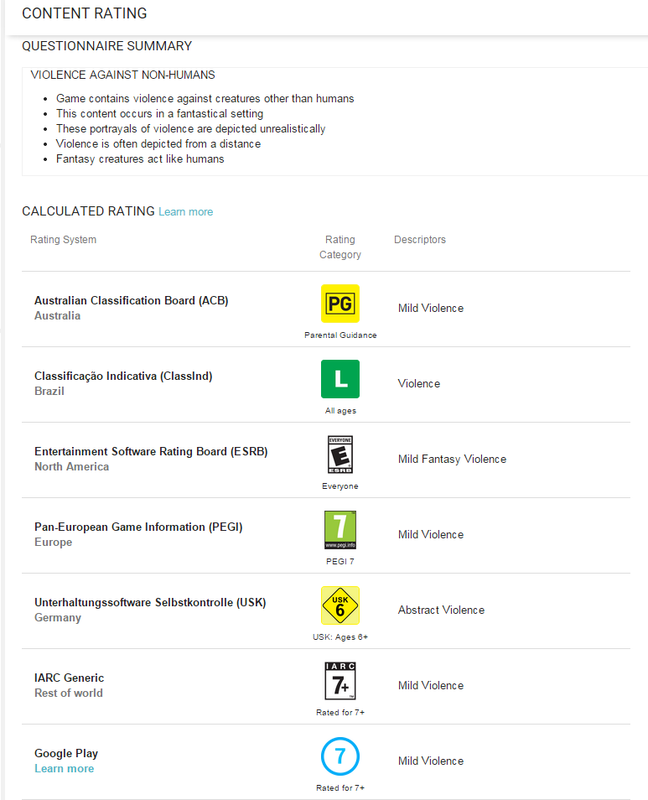 of my games so they can have an accurate rating. Unicorn Training is E for everyone! Apps are being reviewed by humans now so it may slow down the release and patch process on what used to be the fastest uploading platform. Google says it won't cause any lag though so it's a wait-n-see situation. 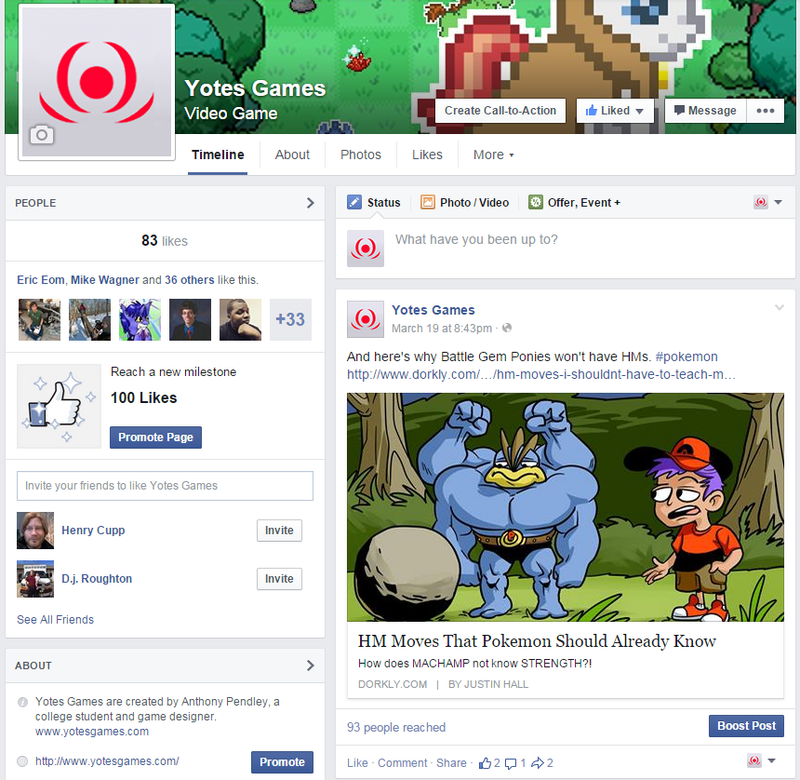 This post got a lot of attention on Facebook (compared to my usual reach of 20). I should share more outside things relevant to my projects to reach new people the way I do on Twitter. I still can't figure out how to get more of the 200 daily visitors on this site to like Yotes Games on Facebook. It's where I post tons of screenshots ahead of time and have an easy way to communicate in the comments. I'm just guessing it'll become more popular once I have something playable out there that gets attention and curiosity. Like the pre-alpha demo I'm building up to. The current battle scene looks better in motion. Right now is a weird in-between stage where stuff is coming, but none of it is fully coded or animated so it all looks messy. It's crunch-time as I get ready for the BYOC and I can't wait for the satisfaction of having a fun playable version of the game.